California Typewriter is expectedly kitschy. Doug Nichol’s documentary focuses on the title writing tool-turn-antique, and stems off in different directions to explore the typewriter’s influence through its existence. Through fragmented stories, viewers learn about Berkley, California’s hopeful shop that specializes in typewriter sales and repairs. The staff know their business is frittering, but their meticulous and intellectual preservation is enticing enough to reel in a consumer’s curiosity. Movie goers are also treated to alternative ways one can use a typewriter. One artist manufactures full scale creations out of different typewriter models, while an eccentric band creates music from the series of sounds a typewriter can make (some songs are unplayable since some obsolete models are hard to find). The doc is given high profile authenticity when actor Tom Hanks, late playwright/performer Sam Shepard, and author David McCullough (among others) appear to explain their personal fascinations. Hanks gives the most informed (and fun) interviews as he happily gives viewers a detailed tour of his typewriter collection. However, when John Mayer shows up to self-righteously talk about his heady obsession with writing music on a typewriter, followed by the musician reading his own lyrics, it’s evident that California Typewriter is spreading itself thin. In retrospect, even the segment featuring the quirky band gives Nichol’s film awkward mock qualities – a terrible direction for a doc this vulnerable to take. Even when California Typerwriter is spinning its wheels, the documentary is open enough to give viewers a refreshed perspective on a niche interest. 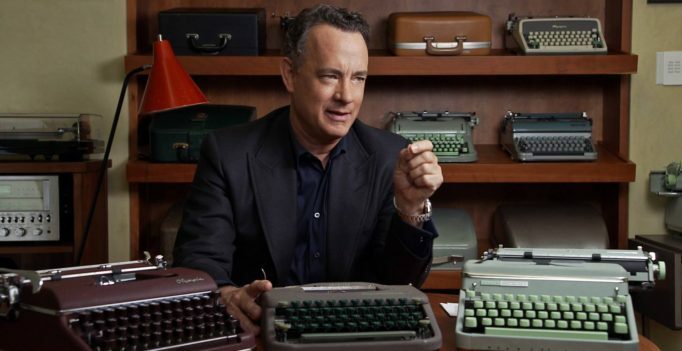 California Typewriter opens at Toronto’s Hot Docs Ted Rogers Cinema on Friday, October 27. Wylie Writes at Toronto After Dark ’14: Wyrmwood and Foxed!